Rep. Paul Berch, D-Westmoreland, testified Wednesday on the bill he sponsored HB 153. “Bad police officers make us all look bad,” said Beaudoin. “We support transparency,” except information involving other police officers who must answer questions for the report. The public does get the benefit of public information from police investigations, he said, citing the reports released when a police officer uses a firearm. If the language was amended to allow for only executive summaries of the discipline to be released, Beaudoin said that would satisfy the public’s interest and protect victims and civilians who may have had to testify during the investigation. 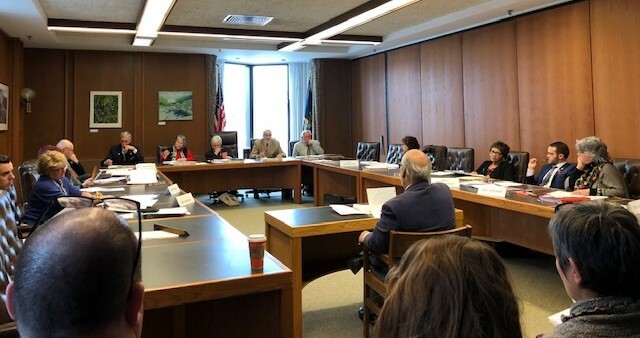 But Republican state Rep. Ned Gordon, a member of the House Judiciary and a retired judge from Bristol, asked who would be writing the executive summaries. Gilles Bissonnette, legal director for the American Civil Liberties Union of New Hampshire, said making available only a brief summary does not give the public the context to know if authorities are doing their job. Carla Gericke of Manchester said she supported more openness than currently exists, adding she came to Concord to support the bill. “We need this bill, which is quite narrow in its scope, and I think as our representatives you should ask, ‘Is this the kind of information we should know to keep our officers accountable? '” Gericke told the committee. David Saad, president of Right to Know NH also supported the bill. “I feel police officers, when conducting themselves, must be held to a higher standard and that should include full accountability, which includes full transparency,” Saad said. He said the idea of an executive summary leaves the person writing that summary with the power. “That acts as a filter to the public and I don’t think that person should have that power,” he said. A full committee work session on House Bill 153 is tentatively set for Feb. 6 at 10 a.m. before the House Judiciary Committee. The bill was co-sponsored by Rep. Paul Berch, D-Westmoreland. 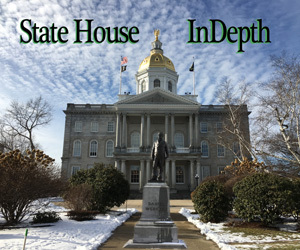 InDepthNH.org is New Hampshire’s statewide nonprofit, online news outlet.